With the North Texas Institute of Neurology & Headache in Plano, TX, Dr. Sorin has designed a practice which he prides himself on for having an old-school feel. He is committed to spending time with his patients, getting to know them and gaining insight into their ailments. Dr. Sorin devotes a great deal of time to the management and treatment of all forms of headache. “We do our best to allow patients access when they need it,” he says. 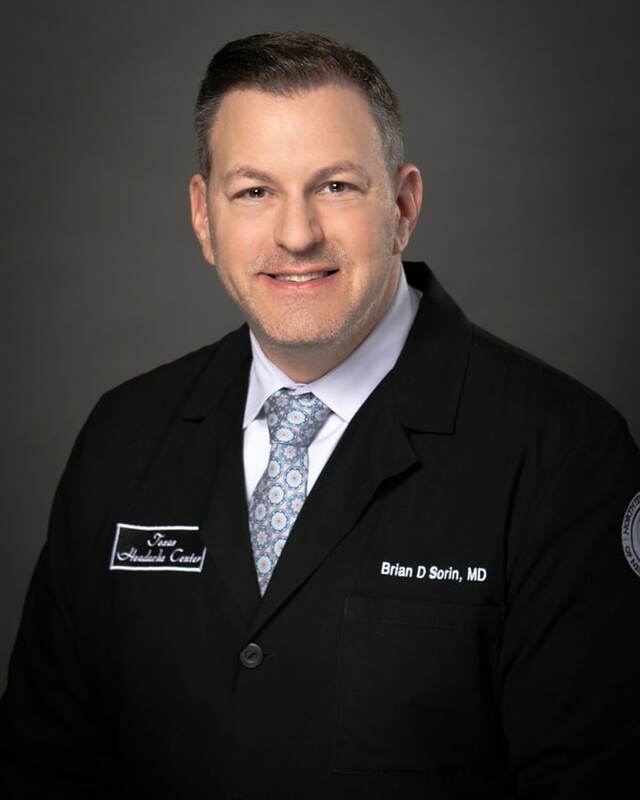 Dr. Sorin performs most of his own procedures, which often include various nerve blocks, Botox for migraine, Dysport for dystonic neck pain, and Fluoroscopic-guided lumbar puncture. Dr. Sorin is diligent in trying to understand the triggers of his patients’ headaches and takes a hands-on approach in treating the underlying causes. He also runs a full neurodiagnostic center, including nerve conduction studies, EEG, home video EEG monitoring, neurocognitive screening for attention deficit disorder, post concussion syndrome and memory. Dr. Sorin ranks among the top neurotoxin injectors in the country (Botox, Xeomin, Dysport) for a myriad of injections, which include migraine, cervical dystonia, atypical facial pain, trigeminal neuralgia, oromandibular dysfunction (TMJ), hemifacial spasm and acquired dystonic reaction associated with previous injury or surgery, just to name a few. Many patients have a combination of these ailments and his expertise allows him to develop the best treatment program for each one. Dr. Sorin has dedicated much effort toward public awareness of traumatic brain injury and concussions. He has been spearheading an effort to screen athletes to maintain a baseline cognitive function in case of future head injuries. B.S., Emory University; M.D., Saint George’s University; Residency and Neurology Training, Stony Brook University; Pain and Headache Management Training, Brookhaven Hospital.